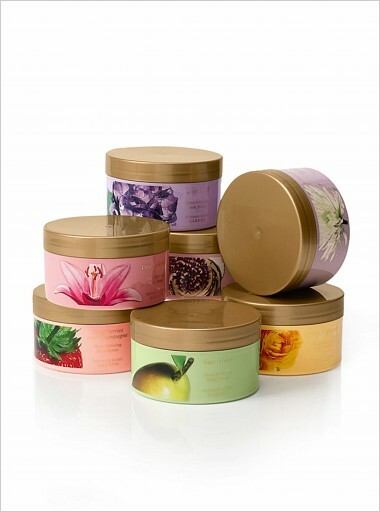 As I've mentioned before, I'm a huge fan of body butters. My signature scent for the past 3-4 years has been Victoria's Secret Lovespell, so when I made a trip to stock up recently I was delighted to see they'd expanded their product base to include body butter. What a treat! The first thing I noticed about this particular butter was that it had the texture of buttercream frosting. It's surprisingly light and airy for a body butter. It's not greasy, but it kept my skin from itching, which is a feat during these winter months. I like this product much better than the Boots body butter I reviewed previously. At $10 per tub, you'll love it too! By the way: Our brand spanking new layout is courtesy of Sparkle Designs, run by the fabulous KT. Be sure to check out her work--she's fabulous!